Let’s face it. Weddings are EXPENSIVE. Most people cringe at the thought of planning their dream day around a budget and reluctantly anticipate the additional stress that is sure to come. By the time they’ve picked out the perfect dress, venue, cake, invitations and bridesmaids, they’ve already gone over budget, changed the party theme, and reevaluated this whole marriage thing. That’s usually when the bride’s panic-stricken self is taxed with the details of table settings and centerpieces..
Our first budget friendly suggestion would have to be candles. Candles are a fabulous way to add glitz and glam to your wedding reception without breaking the bank. There’s a wide variety of colors, shapes and sizes out there that you can order online (usually in bulk). 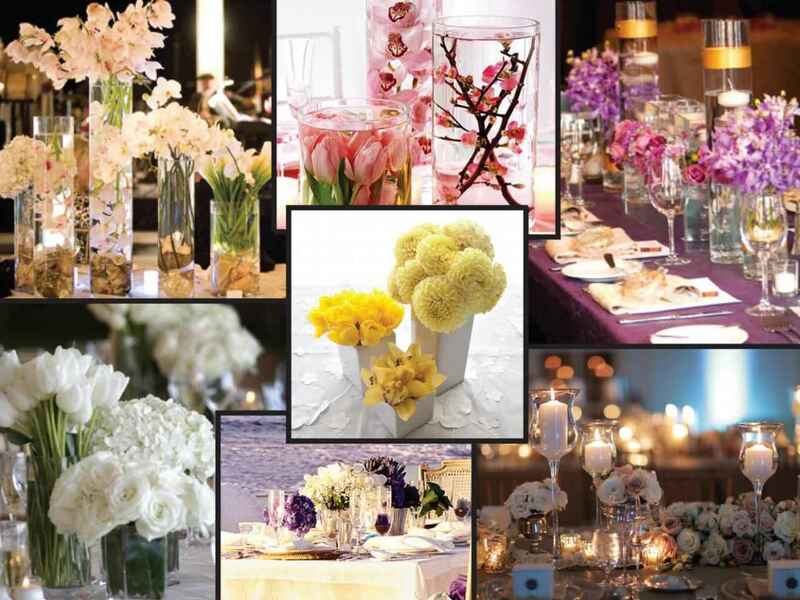 Twinkling centerpieces create a warm and inviting aura at any venue. If your budget is really tight, you can incorporate candles with less flowers by floating them in water. You can usually find clear glass (or heavy plastic) cylinders like these ones online (these ones even come with candles). Add a mirror as the base to reflect light and add volume to each centerpiece. Mirrors makes everything feel clean and elegant! You can even use vegetables if they’re the right color for your occasion. The person below got creative with artichokes. Accessorizing is another important part of the decor, but it doesn’t have to be the most expensive. Choose a few high impact pieces to focus on and use less expensive table accessories to compliment them.